Penn State got its man. With James Franklin’s arrival today as the Nittany Lions’ 16th head football coach, that’s the only logical conclusion. Less than two years removed from NCAA sanctions that many thought would cripple the program, Penn State has hired arguably the most dynamic and talented young coaching prospect in the nation. The university did so despite the lingering impact of those sanctions, and in the face of stiff competition for his services. By all accounts, he was just one of a number of qualified and interested candidates for the job. Everything about Franklin’s record at Vanderbilt is impressive. On the field, he turned a longtime SEC doormat into a contender, leading the Commodores to a 25-14 record in three seasons. He did this at the so-called “Harvard of the South,” a private institution with the highest academic standards in its conference. And he did it all with a relentless enthusiasm that inspired recruits, players, and a long-underwhelmed fan base. With Franklin in charge, the future at Vandy was bright. So why leave? Certainly it helps that Franklin was born and raised in the Philly suburbs, and he’s already said he’s excited to be coming “home.” But he wouldn’t be here if “home” wasn’t also a place he could win. By leaving a great situation at Vandy, and by turning down reported interest from places like Texas, USC, and the NFL, Franklin has confirmed that, at least in his estimation, Penn State is one of the elite coaching jobs in the country. There are a lot of reasons for that, of course: There is the foundation set by coaches like Hugo Bezdek and Bob Higgins ’18, decades of excellence under Rip Engle and Joe Paterno, and the brief but critical tenure of Bill O’Brien. There is Beaver Stadium, and the practice and training facilities on par with any in the nation. And there are the fans and alumni whose passion and support sustain it all. As we’ve seen over the past two years, and as we’re seeing again today, nothing that has happened over the past 27 months can erase that. 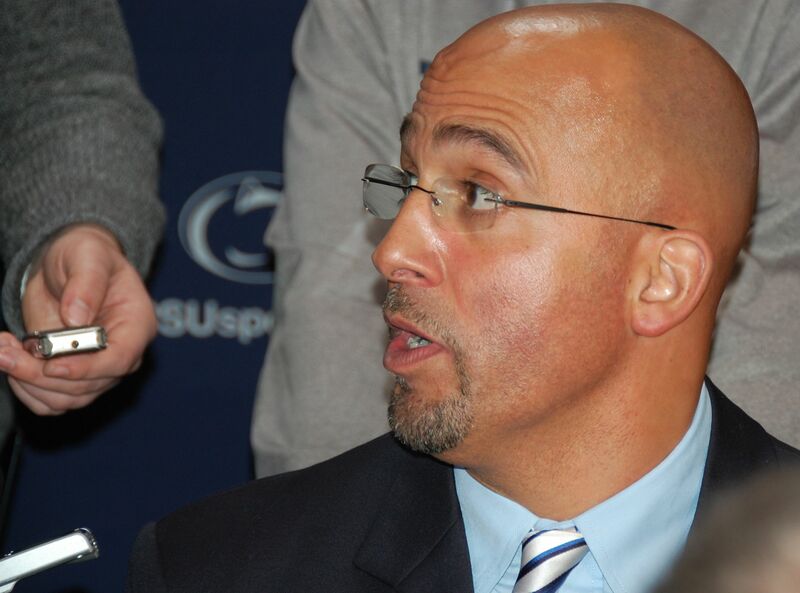 Time will tell if James Franklin is the right man for the job. But even today, we can say that hiring a coach of his caliber and reputation bodes well for Penn State. This entry was posted in James Franklin and tagged Bill O'Brien, Bob Higgins, Hugo Bezdek, Joe Paterno, Rip Engle. Bookmark the permalink.